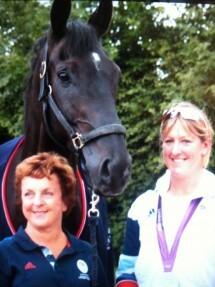 CONGRATULATIONS TO KATH BARLEY AND TWILIGHT DREAM - CHAMPION HUNTER FILLY AT THE NATIONAL HUNTER CHAMPIONSHIPS! WHAT AN AMAZING RESULT! CONGRATULATIONS TO JAMES SOMMERVILLE, FREDDIE TOO AND HIS OWNER SUZANNE HARLEY ON A WIN IN THE U25 ADVANCED AT ASTON LE WALLS! CONGRATULATIONS TO GILLY HINNIGAN AND DOTTY ON 12TH PLACE IN THE 5YO YOUNG DRESSAGE HORSE FINAL AT BADMINTON -- THE SMALLEST BUT STILL GIVNT THE BIG BOYS A RUN FOR THEIR MONEY WITH A STUNNING TEST!